Vanessa Aspillaga has appeared on Broadway, Off Broadway, in television and in film. She is a New York Theatre Workshop Usual Suspect, and a member of LAByrinth Theater Company. She was nominated for a 2018 Lucille Lortel Award for Outstanding Featured Actress in a Play for Amy and the Orphans. Vanessa is part of The Muse Project, an experimental project that upends the traditional theatrical structures and centers women-actors’ stories. With The Muse Project, actresses choose the role they want to play and the story they want to tell, and then a creative team is built around the actress’s vision. Vanessa spoke with Works by Women about the piece she is developing for The Muse Project, her experience on Amy and the Orphans, and the best pieces of advice she’s ever received. WORKS BY WOMEN: Tell me about The Muse Project. VANESSA ASPILLAGA: The Muse Project is an initiative, founded by Jocelyn Kuritsky, that commissions female actors to spearhead their own work. They ask female performers what role they would like to play, what story are they wanting to tell, or whom they are interested in working with, and with a very limited budget, they make it happen. The Muse Project pairs female actors with a director, with technical support, a musician if needed, a space to develop work and experiment for one week’s rehearsal, and a guarantee of two nights to put up what has been worked on and experimented with. They push female actors to follow a passion and see where it might lead! WBW: What are you developing with The Muse Project? What role(s) do you want to create for yourself? VA: I’ve been acting professionally for 26 years. When I was presented with this amazing and exciting opportunity by Jocelyn, I had a lot of different ideas of roles that I would like to play or people that I wanted to collaborate with; but I finally allowed my real deal, little kid/inner child, explosive, scary, vulnerable, exciting, raw and uncharted territory and dream. To bring all the creative expressions I love and the aspects of my creativity together (acting/performance, writing, painting, photography, video/cinema, music) together into a one-woman, semi-fictional and semi-autobiographical, and magical memoir. It is an excavation of the most primal and hidden aspects of myself and ultimately humanity. I want to transport the audience into a visual, auditory, and completely immersive kaleidoscope of another human being’s mind and soul and thoughts and perceptions of the world. Our present is colored by our past and everyone experiences life in a different way depending on their experience. They say you can never truly know another person, and I wanted to attempt an almost virtual reality, or a peek into my heart and soul, with the use of my paintings, photography, acting, music, and video/cinema. As we become increasingly “connected” but by the same token increasingly isolated by technology and social media, I wanted to use all the fine arts that I love and expose and reveal the opposite of what people usually display on social media with the hope that at least one person, hopefully more, will feel less alone, or strange, or other. WBW: What is it like being part of the Muse community and seeing the other actor-generated work? VA: It is very exciting to be a part of this year’s stellar and talented line up of female performers working with The Muse Project. The Muse community makes me feel like an active part of a movement of female-driven art and work and female voices. I am excited about what my peers are working on and creating and experimenting with and I am incredibly grateful and excited to be able to experiment and fly out of the box I’ve kept myself in. Muse actors Vanessa Aspillaga, Jocelyn Kuritsky, Kyra Miller, Lynn Cohen, Jessica Frances Dukes, Déa Julien, and Zainab Musa. Photo by Adenike Thomas. WBW: Why theater? What first drew you to it? VA: I wanted to be an actress since I was very little. I first told a schoolmate that I wanted to be an actress at the age of five. I was always an observant and sensitive child and I have always loved learning about, transforming, and embodying other people–the more “unlike” me the better. WBW: Tell me about some of your experiences on stage (whether Amy and the Orphans, The Clean House, Anna in the Tropics). What have you learned from collaborating on these great shows? VA: All these shows were transformative for me in so many ways. And to be able to work on Broadway, Lincoln Center, and the Roundabout were absolute dreams come true! I will say that my last show, Amy and the Orphans was an incredible experience as an actor to be able to work alongside two brilliant actors with Down syndrome: Jamie Brewer and Eddie Barbanell. As “Kathy” in Amy and the Orphans, my character worked at the group home/facility that the characters Jamie and Eddie played were living in, therefore I spent a lot of time working and socializing with these two artists. I feel that I was a part of a piece that not only profoundly affected our audiences but also had a significant impact on the mainstream theatre world. It was a different rehearsal experience than I’d ever had before, and I am grateful to have had this rare (to date) opportunity to rehearse and perform with these two actors who pushed me to be less rigid. The acting experience can be a bit narcissistic as one is thinking about one’s character and crafting the moments that affect your character and thinking about one’s arc and at times advocating, especially on a new play, for your character. I was much more outside of myself and my character, during the process of collaborating on Amy and the Orphans, than I had been in the past. I guess I really took on my character as their caretaker “Kathy,” and found myself developing a different relationship with them than I had ever had with other actors during the rehearsal process and performances. WBW: What’s the most engaging piece of theater you’ve seen recently? VA: Two pieces come to mind: Carrie Mae Weems’ The Shape of Things at the Park Avenue Armory. I loved having so many different artists of varying disciplines in one space and being able to walk in and out of rooms where all different forms of creative expression were happening simultaneously. I also was quite moved and mesmerized by my friend Adam Rapp’s Wolf in the River at the Flea Theater. To learn more about The Muse Project and its Kickstarter campaign to support its 2018 season, visit www.themuseprojectnyc.com. 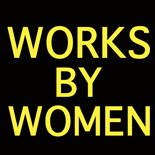 This entry was posted on August 22, 2018 by worksbywomen in Interview, Theater, Women and tagged adam rapp, amy and the orphans, carrie mae weems, jocelyn kuritsky, Lucille Lortel, maggie flanigan, meg simon, the muse project, vanessa aspillaga.